Nestled between Northwood and Rickmansworth in Hertfordshire, Nine of Herts is a wonderful Footgolf venue. Footgolf is available here on Mondays, Wednesdays and Saturdays between 2-5pm. 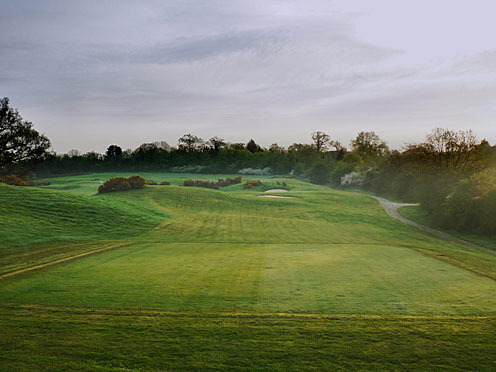 The fairways here are wonderfully open, making it an ideal location for Footgolf, whatever your ability. Being only 10 minutes from Junction 17 of the M25 it is convenient for many. As the sport grows in popularity, it is possible that Nine of Herts will extend its Footgolf facilities. There is a delightful Clubhouse with a wonderful sun terrace that serves both snacks and drinks. Footballs are provided free of charge and Wi-Fi is available within the Clubhouse. There is ample parking. Whether you are new to the game or a seasoned Footgolfer, come and give Nine of Herts a go.